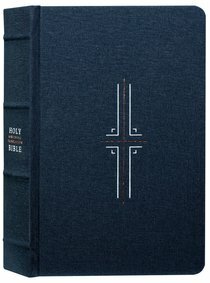 About "NLT Filament Bible Midnight Blue (Black Letter Edition) (The Print+digital Bible)"
This Bible combines elegance with technology. Exclusive access to the Filament App unlocks a rich set of curated content, study notes, devo-tionals, videos, interactive visuals, and more on your mobile device. :Filament combines the simple elegance of a premium Bible with the powerful capabilities of your mobile device. You get the best reading experience a print Bible can offer and instant access to more meaningful content than you'll find in any one study Bible or devotional Bible. This print+digital setup gives you options you've never had in a single Bible. If you want to read God's Word without distraction, leave your phone in your pocket. If you want to dig deeper, your device unlocks a rich set of curated content-study notes, devotionals, videos, interactive visuals, and more.